BAMS Foundation is a not-for-profit organization committed to providing educational information for those living with Multiple Sclerosis, funding programs researching a cure for Multiple Sclerosis, and funding programs helping those living with the disease. 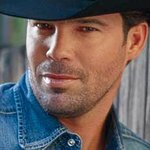 Nationally acclaimed recording artist Clay Walker established the Foundation in February 2003, because he wanted to help others living with the same disease he has battled since 1996. Google trends for "Band Against MS Foundation"
We don't have any videos related to Band Against MS Foundation.